Just an fyi, 13601 and 36695, you packages went out yesterday. You should have them tomorrow or Monday. 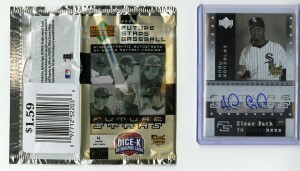 Has anyone else noticed the crazy stuff that’s starting to sneak into the “value” box as Target and/or Walmart? Maybe it’s just my Target, because I’ve never heard of anyone else running across stuff like this. From the same store that continuously supplies me my ’08/’09 Upper Deck X, last night I found a half dozen packs of 2007 Future Stars and another half dozen packs of SP Authentic. No joke. So, Matt over at Cardboard Conundrum was having a huge break this month and I jumped in hoping to finish off my sets for 2012 so far, which I did. Topps Series 1, Series 2, Archives and Gypsy Queen are now, as they say, in the books. Well, as far as base cards go. Heritage is down to a single short print, and I’m still searching out a couple more minis, and two more relics for GQ, but that’s a post for a different time. On to the loot! WHY?!?! What’s next, let Papi walk, trade Ellsbury and resign Daisuke?!?! WTF front office. WTF. I mean, I know he’s hurt 95% of the time, but damn, his OBP is ridiculous. Hasn’t Ben read Moneyball. 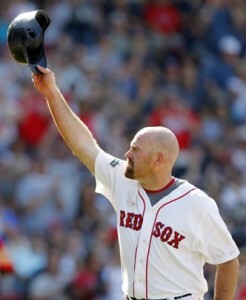 What does Youk do? He gets on base. All. The. Time. Come on! At least get more for the guy than two AAA leftovers and some cash. That’s just ridiculous.